The BKK is set to host its 42nd British Open on Saturday 6th October 2018 at K2, Crawley in what will be an absolute hotbed of Kyokushin fighting elite and talent. 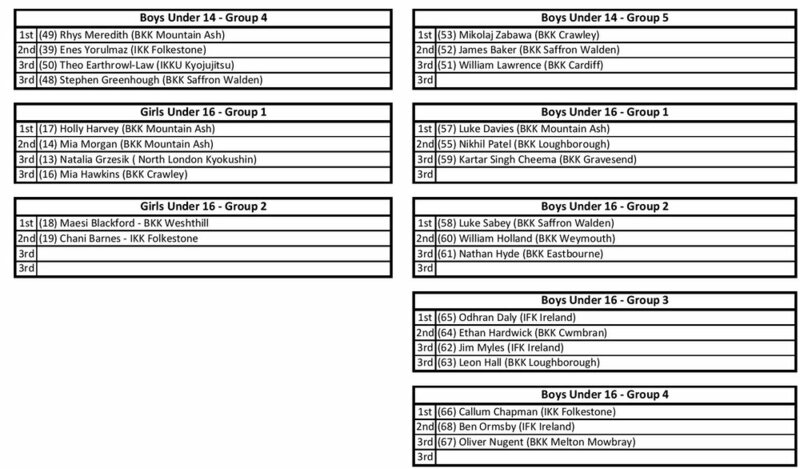 Year on year we see an increase in standard at our championships, presently there are 23 organisations from 22 countries participating in this years 42nd edition of the British Open. Here we look at some of the potential favourites and also at our BKK entries in the Cup of Europe Open categories. Current champion and Spanish favourite Dani Redondo is looking to take his third Crown but will have some stiff opposition with some very strong Russians including last years runner up Anton Adushkevich from Gazprom team and KWU Varna Cup Champion Maksim Voitov. Also look out for Lithuanian Champion Jonas Enimontas. Russia will once again have a big say in where the crown goes this year with KWU World Champions Alexandre Drozd and Victor Belyaev both vying for the title but there is some great opposition from around the globe with both last years 3rd place winners crowd favourite Clai Henry from the USA, and Zsolt Zsiga of Hungary looking to go one further and make the final. Also look out for Romanian kicker Catalin Mocanu who should excite with his fast aggressive style. As Womens events go from strength to strength six time Champion Emma Markwell will look at this division and see it packed with depth. Her opponent last year Teona gazdeliani is back as a KWU World Champion, IFK World Champs runner up Rima Artemova also wants to avenge her 2014 loss to Markwell. WKO new European golden girl Skaiste Venckute will hope her high workrate can take her far and hard punching Alina Polishchuk of Russia will fancy her chances of gold. Can last years semi finalist Hayley Beth Rowlands push for a higher ranking this year. Another division packed with quality and who can pick a winner from KWU and IFK World Champion Agata Winiarska, KWU World Champion Maria Papdopoulou, Svetlana Tuchkova former IFK World Champion, Marta Lubos Poland and Sara Hagge Sweden both European Champions. With such a packed field, we are looking at one of the most exciting tournaments to date.